Your Salsa class will last for 1 hour and you'll get to meet loads of other great people like yourself throughout the class as we switch partners regularly while we practice different steps and movements in Salsa. Be ready to laugh and enjoy yourself and expect the hour to fly by! After the class we will move into our party where you can enjoy trying out your new dance steps to some great music, having a refreshing drink or two and get to know everyone else. 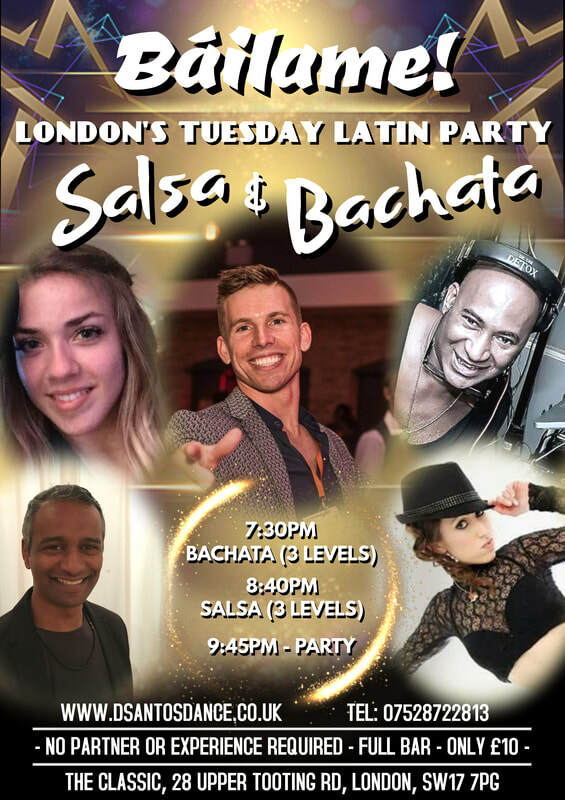 - Intermediate/Advanced level is for those that have mastered the beginners and improver material and are taking one or more classes a week of Salsa for more than 1 year. Here we will work on more challenging and complex combinations as well as the finer points of styling and movement.